This doctoral thesis explores the organisational, managerial and financial features of Private Sector-led Urban Development Projects in international comparative perspective by introducing theoretical concepts and case studies from the Netherlands, UK and USA that benefit local planning authorities and property developers to bring innovation to urban development practices. What can we learn from private sector-led urban development projects in the Netherlands and UK in terms of the collaborative and managerial roles of public and private actors, and the effects of their (inter)actions? Heurkens, E. (2012). 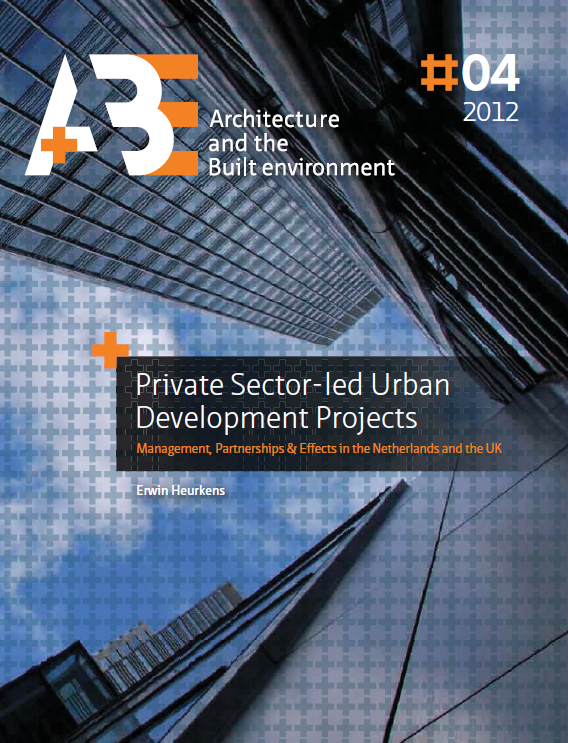 Private Sector-led Urban Development Projects: Management, Partnerships and Effects in the Netherlands and the UK. Architecture and the Built Environment, Vol. 4, Delft: Delft University of Technology.